For those without comedic tastes, the so-called experts at Wikipedia have an article about Hugh Laurie. Hugh James Gregory Bertram Calum George Laurie is an actor and the lifelong lover of Stephen Fry. Laurie is believed to be constructed of pure awesome, and is the first man ever to have a nationality transplant without giving prior consent. Hugh and Stephen first met in 1917, when Hugh was performing as a drag queen to soldiers in the trenches. Stephen fell hopelessly in love and then proposed, realising that in the distant future, the two of them could have an excellent comedy show on the BBC. Seeing as homosexuality wasn't even legal, let alone gay marriage, Fry and Laurie decided to go underground for seventy years when they created a show about their life as a gay couple. However, the show was cancelled as issues between the two evolved, such as Hugh's obsession with lids, Steffi Graf and Stephen's tragic turn to bizarre alcoholic cocktails. The relationship between the two got to such a low at one point that Stephen, who also happened to be Hugh's valet, moved out and Hugh decided to involve himself with the Americans. Hugh's first involvement in American film and television was a brief role in Friends; however, he did not realise this at the time and thought he was on a normal transatlantic flight. He was also involved in Stuart Little, although many die-hard Laurie fans believe his involvement was down to intense trauma from his time away from Stephen. 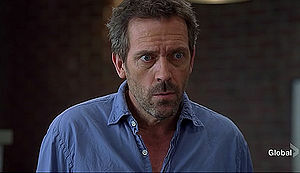 Finally, in 2004, the Americans claimed him for their own, and Laurie was cast as Gregory House. After the success of House M.D., the producers of the show realised American television could not survive without the wonders of Hugh, and he was offically kidnapped and forced to undergo a nationality transplant. As a result of this deep trauma, Hugh has ever since had an aversion to razors and has developed a drug addiction. He has made several attempts to reverse his nationality transplant, most notably his continued use of his English accent outside of House, and his limp which is actually a clever hoax, intended to trick the Americans into thinking he's a defective model and must be returned to Britain and swapped for a more efficient version. Stephen Fry has made several attempts to rescue his former lover, most recently pretending to act in another American television program. Fry, however, is just too British to get away with it and Hugh, well and truly contained in American culture, has recently gone insane with the lack of Britishness in his life. Unfortunately not all Americans are stupid, and the House writers have written all of Hugh's cunning tricks into the plot line of the show. Hugh was able to indulge his love of haulage travel by persuading a naive TV commisioner into giving the thumbs up for this 36 episode series. Hugh took an enthralled audience around the really cold, icy parts of Russia aboard his great, big, piss-off lorry. 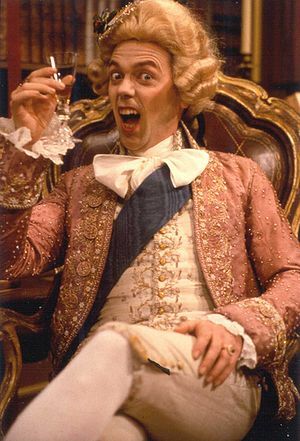 Anyone expecting a few choice anecdotes from Laurie's days on the sets of Blackadder or tales from Uni involving Stephen Fry and Emma Thompson were sorely disappointed. For a reason known only to Hugh he spent the entire series talking in tongues. This incomprehensible speech baffled both the viewers and kindly locals he met on his travels, most of which were keen on seeing his huge lorry and how he came in possession of it. An unmitigating failure all round really.